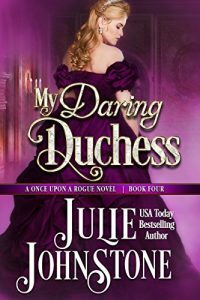 This is a lovely regency book with a daring heroine and a revengeful hero. Anne sets out to get revenge or reform a rogue who has ruined her friend. As she plans her attack she meets Simon who also has a reputation as a rogue. The plan falls into place, but she begins to have doubts. Is all as it seems or has someone been lying to get their revenge? This is one of the better books that steps outside the bounds of Regency propriety. Well written, although there are a few typos, but these are easily overlooked in the flow of the story. Anne’s quest brings the past into the Regency present which will hopefully solve a lot of bitter heartache. Although this book didn’t grab me and make me sorry to put it down, it was still a very pleasant read with lots of intrigue and excitement.